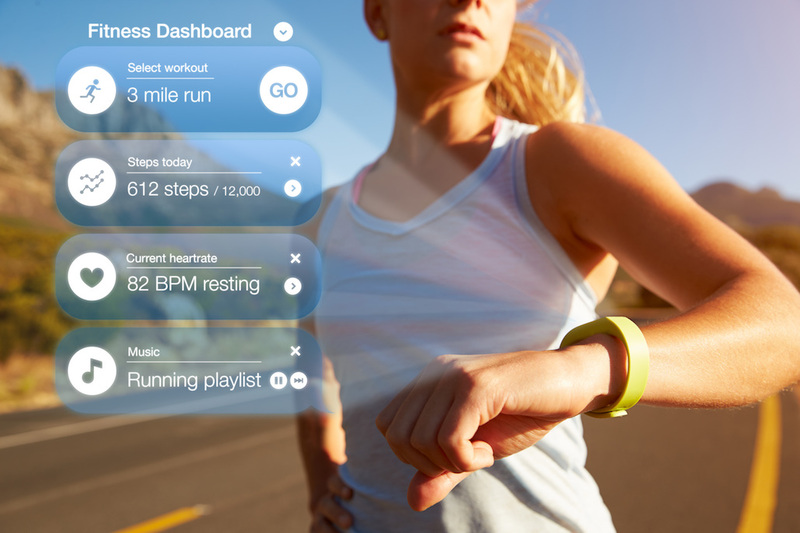 Fitness trackers are officially staples of fitness. Must-haves for the average bear looking to get into shape. And I for one am all for it. I’ve always said that bringing action to your intentions is critical to achieving goals. BUT, the key is INFORMED action, and trackers provide us with information to help us make the best decisions and stay on track. So, where to begin? The options are seemingly endless and can be a bit overwhelming. Do you want an activity band, a watch, a clip on? Do you need a heart rate monitor, sleep tracker, MP3 player? The price varies as well. Significantly. Obviously, the all-in-one option is the Apple Watch. And I am painfully partial here. It pretty much does it all- GPS, activity tracker, sleep tracker, MP3 player, syncs with most fitness apps including mine, heart rate monitor, etc. But, I appreciate it is certainly not the cheapest option. And, I know some of you guys are Android peeps. So, let’s go over other options as well. First, lets look at brands. Fitbit, Garmin, Xiaomi, Misfit, and Polar are the leaders in the game, with bands to suit every budget and fitness level. The right fitness tracker should be based on your personal needs. Maybe you just want step counting and reliable sleep tracking, while others want built-in GPS for running. Personally, for me, a heart rate monitor is a must. The Charge 3 has Fitbit’s full suite of fitness tracking including all day heart rate monitoring, all day step counting, SmartTrack to automatically recognize workouts, and even period tracking for women that can be added as an option to the dashboard. All these metrics can be viewed in the Fitbit app. And, the Charge 3 can receive and respond to text messages, answer or reject calls and even get social media and email notifications. Obviously, this one is really for the Android user only. It is similar to a smart watch in that it can store and stream music, has a built in GPS and it’s water resistant (NOT waterproof though). It tracks the standard daily metrics of steps counted, calories burned, and flights of stairs climbed. Designed for the outdoors, the Vivosport is water resistant and has an integrated GPS, heart rate monitor, sleep tracking, and automatic workout tracking. For the person on a budget, the Flex 2 has solid tracking capability without the frills. It’s user friendly and does the basics like step tracking and sleep tracking when combined with a third party app like My Fitness Pal. My bottom line- if you aren’t on a budget get the Apple Watch, if you have an iPhone. If you have an Android get the Samsung Gear Fit 2 Pro. And if you are cash strapped the Fitbit Flex 2 gets the job done. Who needs texts while you train anyway? That’s exactly what you should be avoiding while working out!